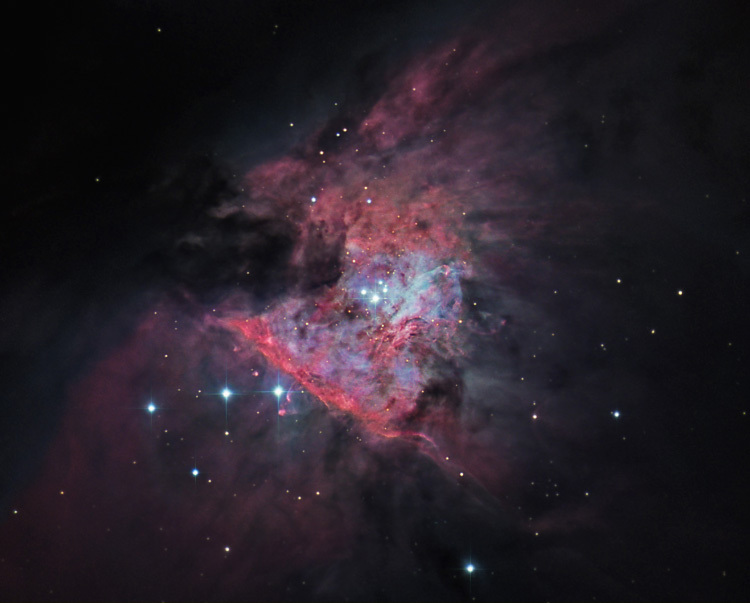 Located at a distance of about 1,600 light years, the Orion Nebula is the brightest diffuse nebula in the sky, visible to the naked eye. This image is processed just to show the central bright part of the nebula around the 4 trapezium stars that energize the nebula. Dust clouds are prominent all around the center of this nebula. The rich colors are from the H-alpha, H-beta and O-III emissions. North is up.